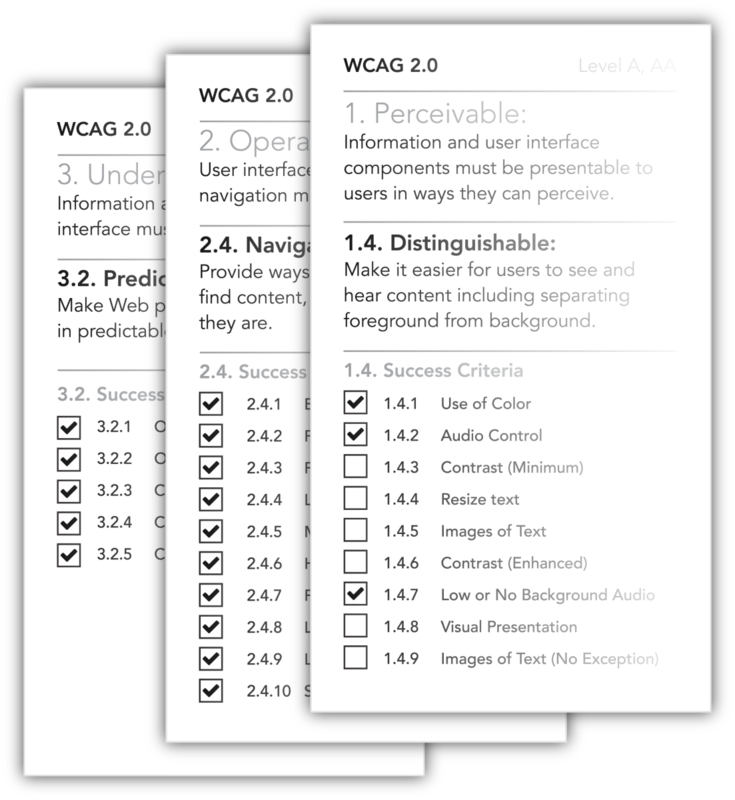 While tools such as Simpleview CMS ensure the foundation of your site is built on accessible technology, AudioEye focuses on sustaining conformance with Web Content Accessibility Guidelines (WCAG) 2.0 Level AA Success Criteria. This is achieved through a fully managed service that includes always-on monitoring and a comprehensive set of assistive tools intended to enhance the user experience for all individuals, regardless of their individual abilities. AudioEye knows the destination marketing audience because it already partners with government websites, enabling them to create experiences that are more accessible and more usable for more people. As part of the premier partnership with Simpleview, AudioEye's digital accessibility solution is available to destination marketing organizations at a truly unbeatable rate. In January 2017, the U.S. Access Board issued the Information and Communication Technology (ICT) Standards and Guidelines, which served to update the existing Electronic and Information Technology Accessibility Standards under Section 508 of the Rehabilitation Act of 1973. As of January 18, 2018, federal agencies are required to conform to the new standard. Websites for Beyoncé and GNC have already been under scrutiny. Is your website compliant?